"He has tried to defame Ajay Chautala. He should publicly apologise or a legal notice will be served to him," Dushyant Chautala. 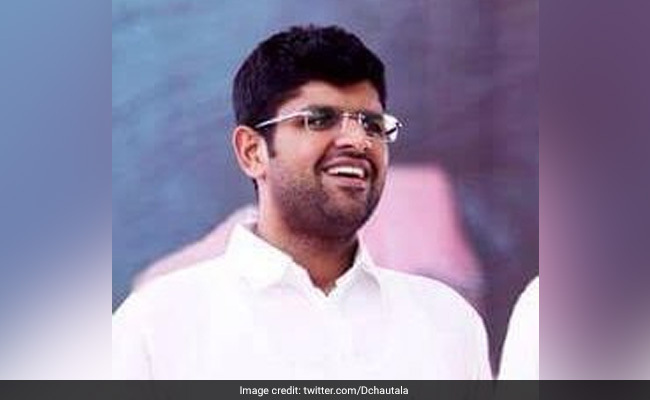 Dushyant Chautala is the elder son of Ajay Chautala. As feud within the Chautala family continues to play out in public, Hisar lawmaker Dushyant Chautala asked his uncle Abhay Chautala to apologise or face legal notice after the senior INLD leader had accused his father Ajay Chautala, of selling party tickets in the 2014 assembly elections. "He has tried to defame Ajay Chautala. He should publicly apologise or a legal notice will be served to him," Dushyant, who is Jannayak Janata Party (JJP) leader, told reporters in Fatehabad in Haryana. Dushyant Chautala, the elder son of former lawmaker Ajay Chautala was asked to comment on allegations of selling of the party tickets. Abhay Chautaka had said last week that Ajay had allegedly shook hands with INLD's opponents and entered into a quid-pro-quo arrangement with them by extending help to them in the 2014 assembly polls. On BSP breaking its alliance with INLD and entering into a tie-up, he said, "It is an alliance based on caste equations and people will reject it." Dushyant Chautlala also said that after last month's Jind bypolls, in which party leader Digvijay Chautala put up an impressive performance finishing behind BJP's winning candidate Krishan Middha.